Dr. Sawhney completed DNB (Paediatrics and Neonatology) from St. Stephens Hospital, New Delhi. 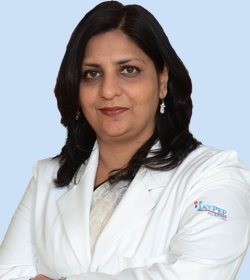 She has been involved in teaching programmes and has been coordinator for neonatal fellowships conducted by Indian Academy of Pediatrics and National Neonatal Forum for doctors and nurses. She has numerous papers published in international journals to her credit. Dr. Sawhney has a vast experience of neonatal and paediatric intensive care including pediatric cardiac intensive care. She is trained in handling extreme premature and critically sick newborns. She specializes in newborn ventilation including high frequency ventilators, iNO.